Social media post by the Santa Clarita Valley Sheriff’s Station. Congratulations to Lt. Ignacio “Iggy” Somoano on 30 years of service to LASD! Somoano was honored at a Years of Service Luncheon held Wednesday at the Hall of Justice. 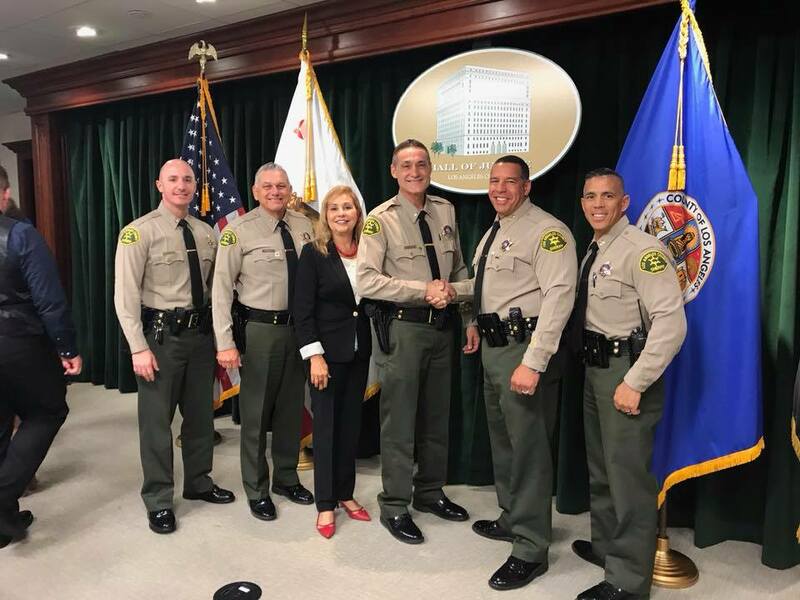 The luncheon recognized fifty-one Los Angeles County Sheriff’s Department employees who were celebrating 30 to 45 years of service with the department. SCV Sheriff’s Captain Rob Lewis and Operations Lieutenant Justin Diez accompanied Lt. Somoano to the luncheon. Chief John Benedict and Undersheriff Jacques “Anthony” La Berge were present to congratulate the group of dedicated employees. Ignacio Somoano currently serves as the Detective Bureau Lieutenant at Santa Clarita Valley Sheriff’s Station.